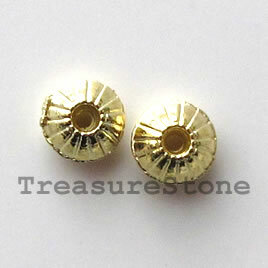 Bead, bright gold-finished, 5mm saucer. Pkg of 20. 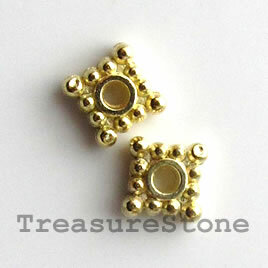 Bead, bright gold-finished, 5mm. Pkg of 30. 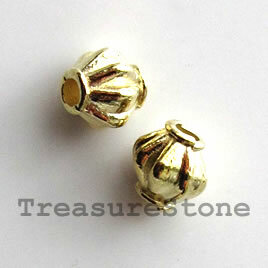 Bead, bright gold-finished, 6mm bicone. Pkg of 20. 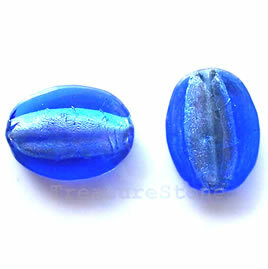 Bead, lampworked glass, blue, 21x28x6mm flat oval. Pkg of 5.